In 2015 the ITRC Data Breach report reported there were more than 177 million records exposed in 780 recorded data breaches. Hackers breached files in every state. 40% of all the reported hacks were businesses. In 2016, these breaches increased by 38%, according to PWC. In 2017, the largest data breach in the history of business occurred via vulnerabilities in the Equifax architecture. Hackers stole the personal information – including social security numbers – of more than 145.5 million people. In the face of unprecedented threats, many law firms are turning to managed security service providers. This post looks at the issue of cybersecurity for law firms. What are the pros and cons of utilizing a managed security service provider? How can they keep your data safer? Get a free assessment — how safe is your data? It seems law firms are finally increasing their migration to the cloud. According to ALM’s Tech Survey, 51% of the American lawyers surveyed said they were using at least some form of cloud computing. The largest number was using some form of cloud-based software (SaaS), including email, billing, practice management, or another type of tool for firm productivity. These cloud services are making lawyers more competitive and responsive to clients. They help curb costs and also improve the efficiency of these firms. Encryption of data as it travels to and from the cloud, as well as while it is at rest in remote servers. Multi-factor authorization that requires additional verification for users accessing the network and data. Setting up virtual private servers that can recreate workstations in the cloud with robust and constant data backup architectures. Intrusion detection monitoring and breach mitigation protocols. Managed security providers can help law firms provide the services demanded by today’s digitally savvy client. Information and data housed behind an on-premise firewall is now viewed as “old school.” Data housed in the cloud allows for on-demand access. That data is housed behind multi-layered security systems in a physically secure off-site data center. Lawyers and clients can exchange encrypted data securely as the overall network is monitored 24/7/365 by your managed security provider. Managed security providers are expert in assessing what systems, protocols, and activities should be adjusted to provide additional security in an era of cyber hacks targeted at companies of all sizes, and in every industry. 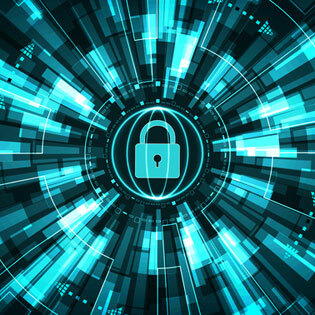 As these breaches become more common, the best way for law firms to mitigate their risk is to engage a technology team that is specifically devoted to providing security for your data, while still allowing the easy access that the Internet-era requires. Contact TOSS C3 for more details about our managed security services. We have affordable monthly subscriptions designed to provide you maximum ROI at a reasonable cost.